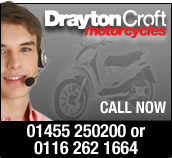 Drayton Croft Motorcycles was established in 1978 and has grown steadily for over 30 years. Many things have changed over the years but the fundamental element of Drayton Croft Motorcycles is its passion for all things Motorcycles. 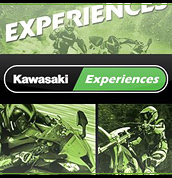 From the owner down Drayton Croft Motorcycles has always had a passion for Motorcycling from supporting Manufacturer development and promotion, supporting Road racing and super Moto racing and most importantly supporting our customers in their dream to ride motorcycles to their full potential. Over the years we have been involved with Manufacturer promotions race sponsorship and even became the first track school with the Honda Britain Race School for 6 years and the Suzuki Performance Riding School at Mallory Park for 5 years. 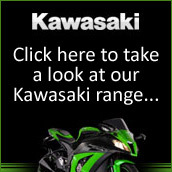 We are currently working with Kawasaki and Piaggio to develop the GTR for Police use and the MP 400 as emergency services vehicles. We feel that being involved so deeply in these projects gives us the edge we can pass on to our customers. Our service technicians are all factory trained and you can be sure we have the skills and knowledge to look after your machine in an efficient and professional manner. Our clothing and accessories staff are manufacturer trained and so are knowledgeable about the safety and comfort features of all our products. Our sales staff are all passionate about the products we sell whether you know what you want to buy or whether you need advise and support we will give you as much time as you need to choose the right machine for you. 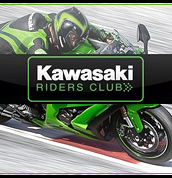 We also organise customer ride outs and have many trips planned for the UK and for even 1 or 2 European trips such as Le Mans or Spain. 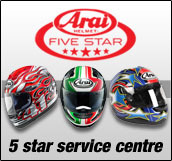 Our intentions are to offer best possible quality peace of mind service - at the best possible prices – delivered. We strive to provide you with friendly knowledgeable staff who are here to advise and help you. We feel we are large enough to offer the best deals in the UK but small enough to care.